How do I calm my dog down on a walk? 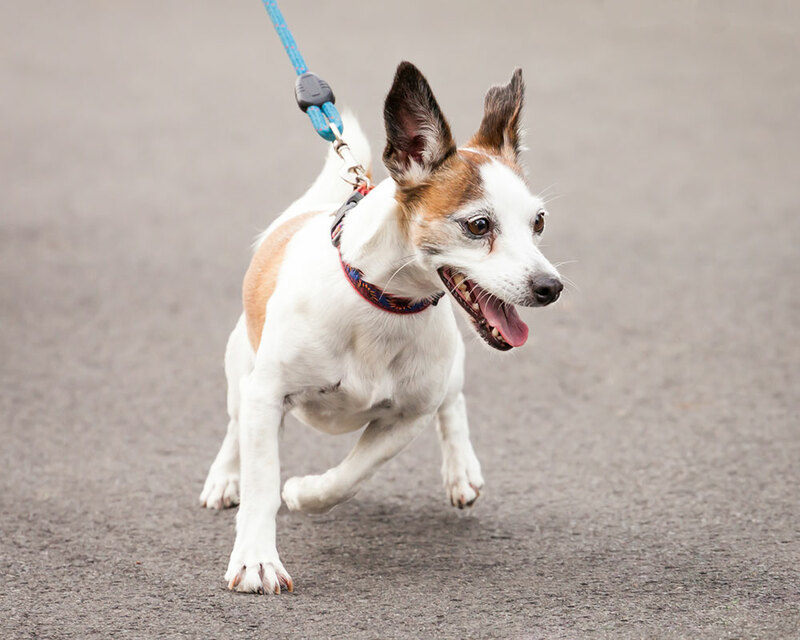 Did you know that the best place to start a dog walk is before you even leave the house? If your dog starts out calm she will have less trouble staying calm during the walk. These exercises may take a while at the beginning, so make sure you have the time — and plenty of patience during the training period. Most importantly, please remember you are the boss and you get to decide how the walk proceeds. Teach her to wait for you. Reinforce your dog’s ‘sit’ behavior so well that ‘sit’ becomes her default behavior when she doesn’t know what else to do. Wait for her to say ‘please’ (to sit) to make good things happen: sit for her dinner bowl; sit to be petted; sit for a treat; sit for you to throw her ball; sit to have her leash put on; and sit to make the door open. Handle her leash throughout the day. Your dog gets excited when you touch her leash because it always means the two of you are going for a walk. But, if you pick up her leash many times throughout the day, draping it over your neck, carrying it from room to room, picking it up and putting it back down, sometimes clipping it on her collar and then unclipping it, the leash will no longer be a reliable predictor of walks, and she won’t have any reason to get excited when she sees it. Oopsidaisies! 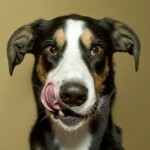 Help your dog to understand that when she does the behavior you don’t want, it causes a good thing to go away. If, when you pick up the leash, she gets very excited, cheerfully say “Oops!” set the leash down, and walk away. When she settles down, pick the leash up again. Repeat this as often as it takes. You’re teaching her that getting excited means the walk goes away, but staying calm will make the walk happen. The way you leave your house and property is also important. Your dog goes out the door after you. If you put the leash on the dog and/or leave the house while the dog is excited and leading you, then you are setting the mood for the rest of the walk to be in an excited state. Take your dog to the front door and open the door. Make the dog sit quietly; do not allow the dog to bolt out the door. The dog needs to see you are the one who decides when it’s time to leave. Teach her to sit after going through the doorway so that you can lock the door, if necessary. When you step off your property, keep your dog close by (at your side is optimal). Keep the leash loose, but if she starts to pull, simply stop and put sit before continuing. If you stay calm, your dog will stay calm. For most dogs, it’s the first few minutes of the walk they are the most prone to pulling. Keep her close and repeat the stopping/sitting until she falls into your walking rhythm. Some high energy dogs need to be tired out before they can concentrate on walking (especially when they’re young). Spend 15-20 minutes tossing a ball for your dog in the backyard or play ‘run upstairs to get a treat’ by tossing the treat up the stairs, then calling her back down when she gets it. 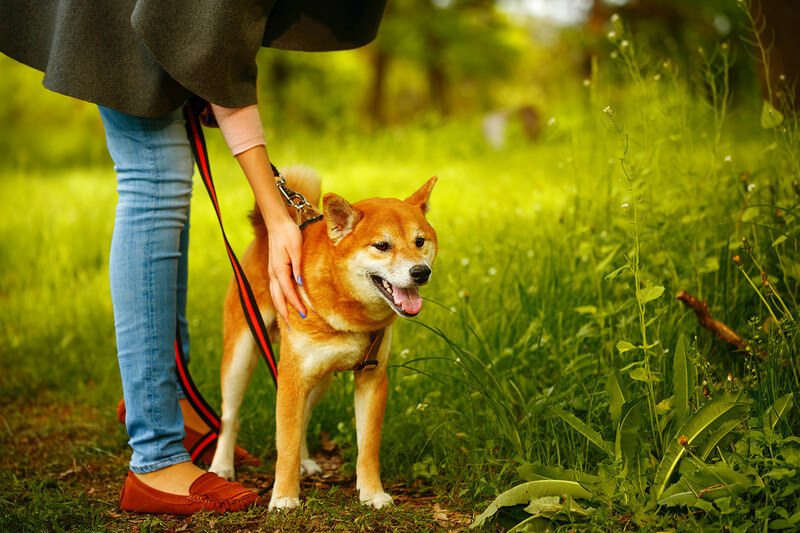 This will help you take the edge off your dog’s excitement, reduce her energy level, and make leashing-up and walking more relaxed and enjoyable for both of you. You can also take her for a bike ride to work off some of the energy, first, but it’s always a good practice to end with a walk so she develops good manners. However you choose to do it, before moving into the walk, make sure she is calm and sitting.